The passage of the Affordable Care Act — aka Obamacare — in 2010 launched the tea party movement and planted seeds of resentment toward the Washington establishment that rages across the nation today. And there's no better of example of why this movement of outrage has grown and accelerated than the case — Zubik v. Burwell — now before the U.S. Supreme Court. Zubik v. Burwell, more popularly known as Obamacare v. Little Sisters of the Poor, is about the Obamacare mandate requiring employers and private insurance plans to provide cost-free coverage for contraceptives, sterilization and abortion-inducing drugs. These provisions arrived under the broader headline mandating that "preventative care" be provided cost-free. That is, with no copayments, deductibles or coinsurance. Religious houses of worship — churches, synagogues — were given the option by the Department of Health and Human Services to opt out of providing the birth control coverage to avoid coercion against religious convictions. 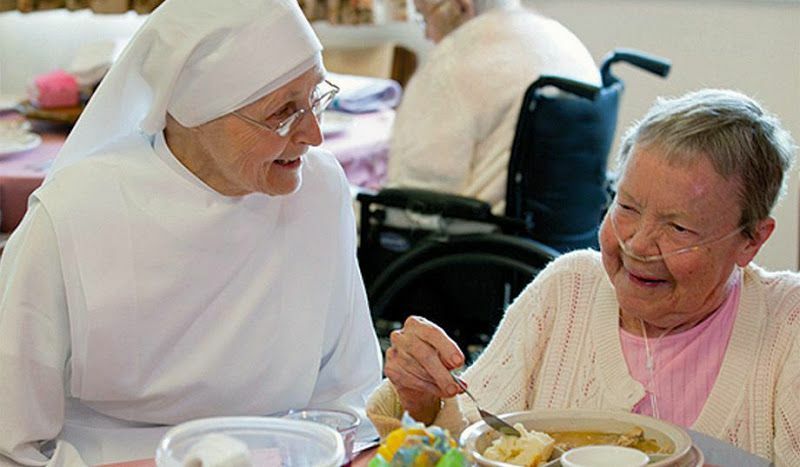 But religiously affiliated nonprofits — like the Catholic charity Little Sisters of the Poor — were not, under the rationale that their employees are not necessarily of the same faith. When these religiously affiliated groups cried foul, HHS designed what they thought was a way out. They concocted a plan allowing the organization to sign a form passing the buck to a third-party organization, like their insurance company, to provide the free coverage of contraceptive and abortion inducing devices and drugs. In the great religious sensitivity of the bureaucrats at HHS, they thought that if the Little Sisters object to committing what they believe to be murder themselves, they would not object to contracting it out to someone else. But, no, this really doesn't work for those whose religious convictions are genuine. So the Little Sisters and six other plaintiffs sued to protect their religious freedom. Picture the wheels turning in Washington in 2009 as the government sausage-making machine was putting together the massive legislative construct that would emerge as Obamacare. Democrat legislators, who then controlled the congress, under the approving eye of the Democrat president in the White House, constructed their grand vision of how to use government power to force all Americans into what they believed health care coverage should be. Included was the idea that preventative care was a noble idea that should get special treatment. Mandate employers and private plans to provide it at no additional cost. But what exactly is "preventative care?" The Act never defines it. Although, according to the Constitution, it is the job of Congress to legislate and the job of the executive branch to execute and administer, the lion's share of the legislative responsibility of determining what is "preventative care" was punted to HHS. They then contracted out to their beltway bandit friends to decide and suddenly included in "preventive care" was contraceptives, sterilization and pills to induce abortion. Not only did HHS and their beltway bandit friends decide the definition of "preventative care," but also those same HHS bureaucrats decided the definition of "religion" by granting exemptions to those whom they think deserve one for religious purposes. As an amicus brief filed by the Cato Institute and the Independent Women's Forum asks, since when do bureaucrats at federal agencies have constitutional authority to make decisions about religious liberty? It is crazy to think that the U.S. Constitution gives government power to force any employer to finance contraceptives and abortion pills for employees, let alone forcing Catholic charities and Catholic universities to do the same. Free the Little Sisters of the Poor. And while we're at it, how about we free ourselves from the monster that has grown in Washington. The American government is supposed to be about protecting individual liberty, not about using power to ram any politician's pet projects down our throats. Remember?